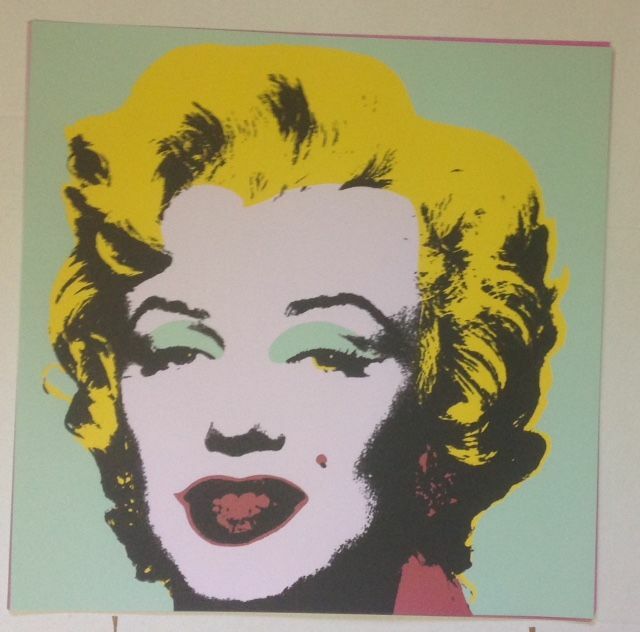 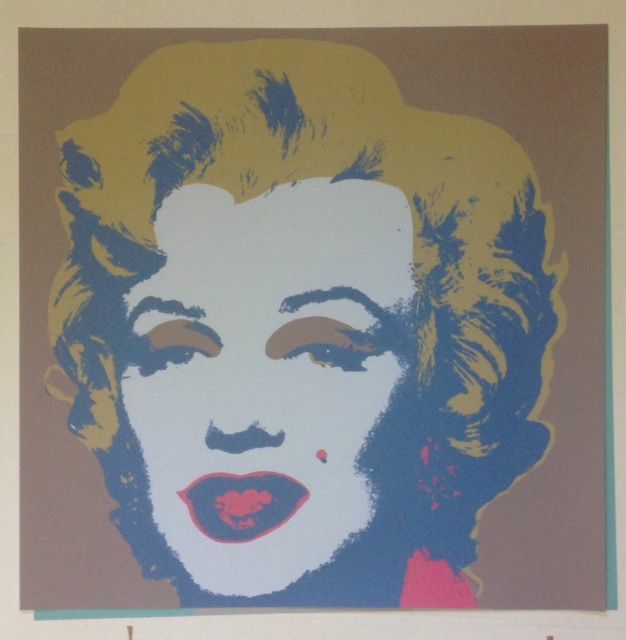 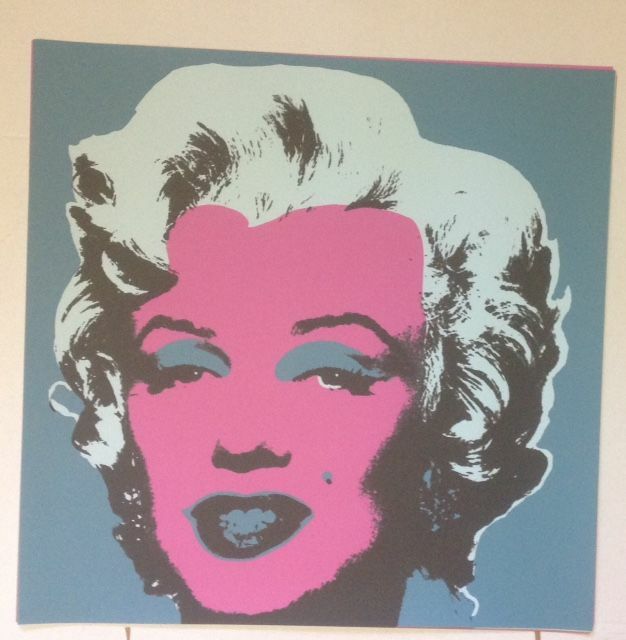 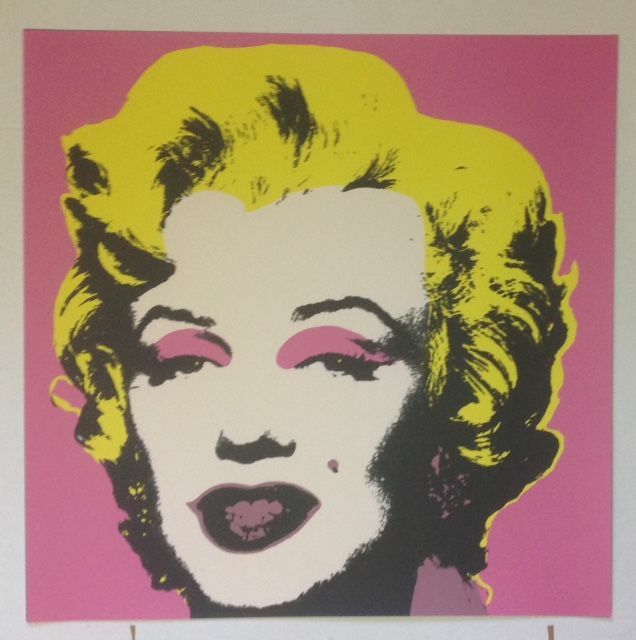 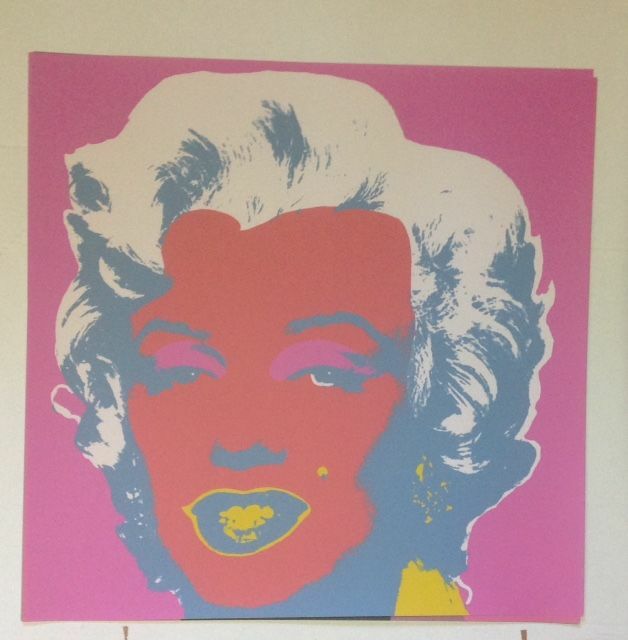 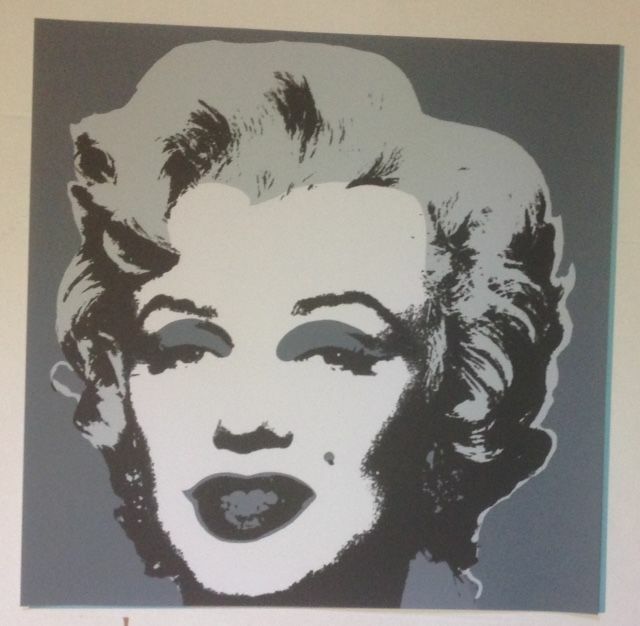 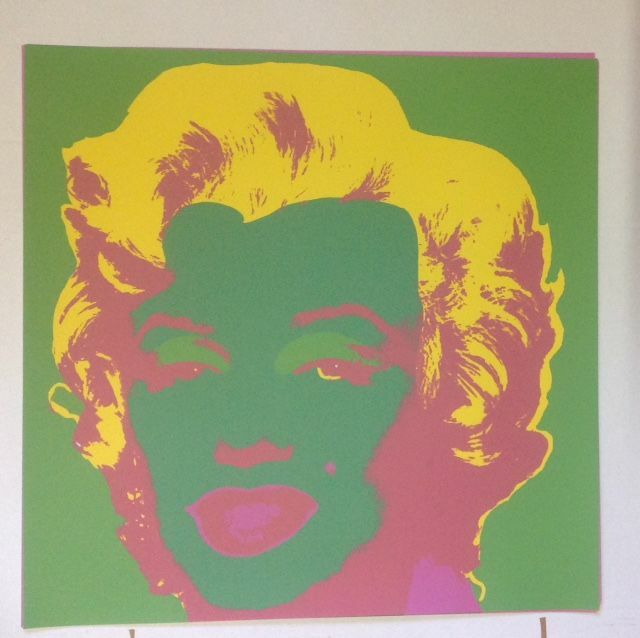 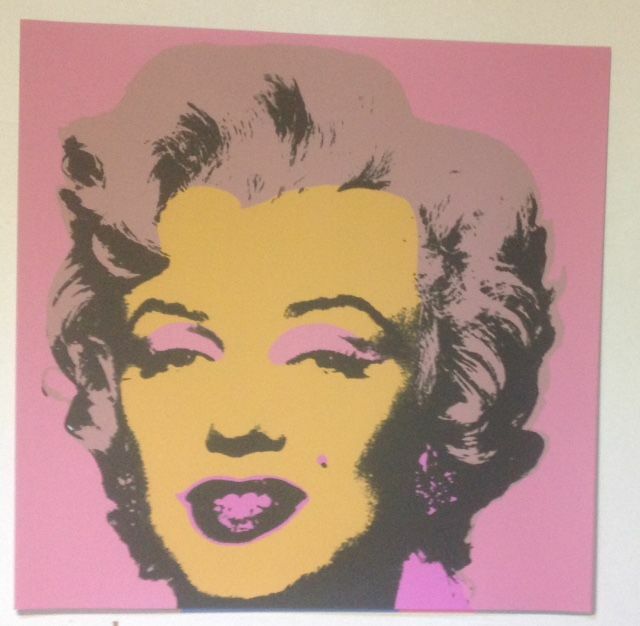 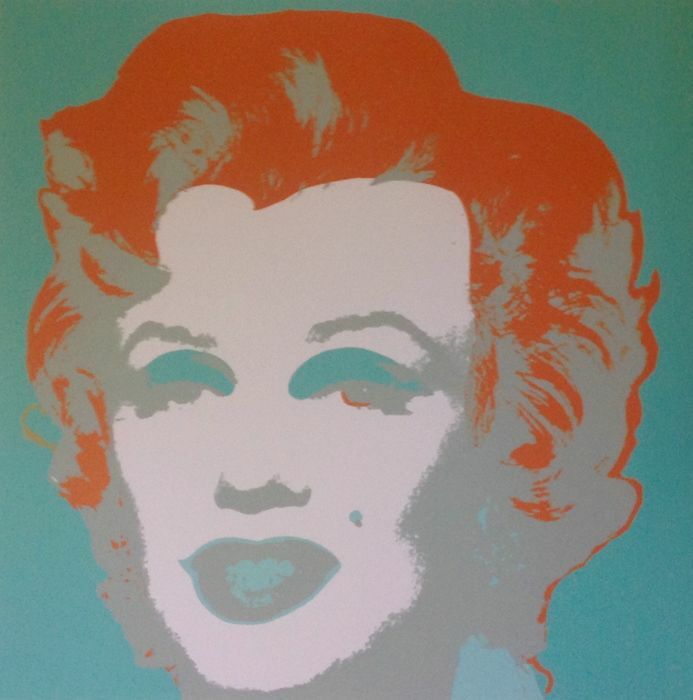 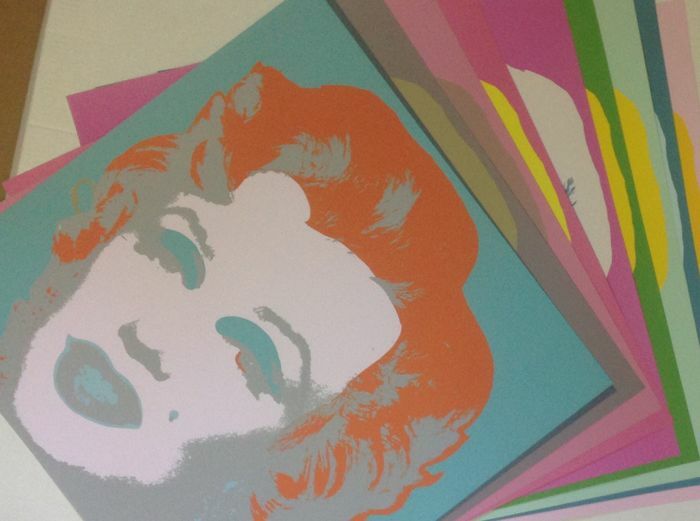 The complete set of 10 beautiful screen prints after Andy Warhol's M. Monroe. 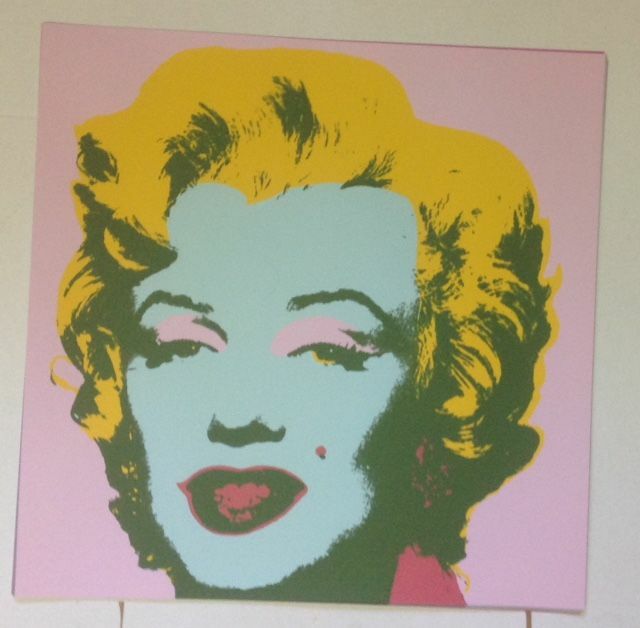 Dimensions: 60 x 60 cm each, a nice size to hang these 10 close together. 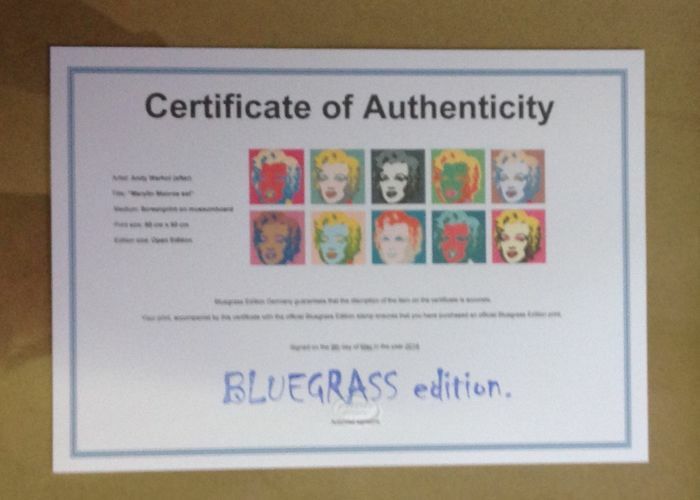 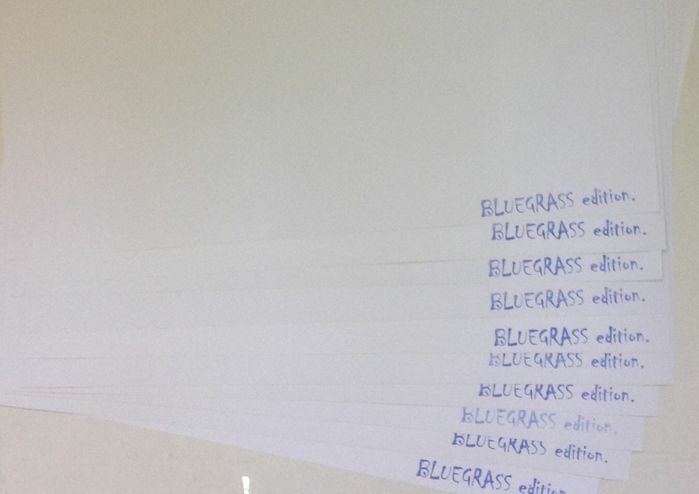 Blue stamps Bluegrass Edition on each print on the back.